SAN FRANCISCO, June 27, 2018 – Zephyr, the company that has transformed the kitchen through design, discovery and care, is the recipient of the 2018 Excellence in Design (EID) and 30 Most Innovative Products Awards. Zephyr is recognized for its Lux Island in-ceiling range hood, and Anzio, Ravenna, and Savona Black Stainless Steel range hoods. The appliance DESIGN Excellence in Design Awards is a prestigious award program that celebrates products that are well engineered and have practical functions. An independent panel of distinguished judges evaluated the entries based on creativity, ease of use, and visual appeal. The seventh-annual 30 Most Innovative Products awards are held by Meredith Corporation and the Luxury Home Design Group. The winning Anzio, Ravenna, and Savona Black Stainless Steel hoods were selected by the editorial team for their ability to combine smart function, seamless style, and cutting-edge technology. 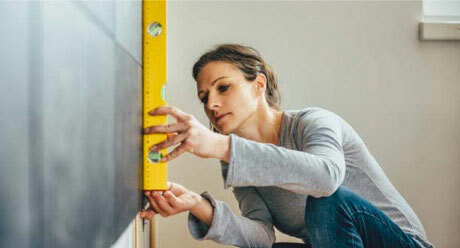 “Consumers are eager to explore new technologies and design concepts, and the kitchen and bath industry has answered the call,” says Group Editor, Luxury Home Design, Samantha Hart. 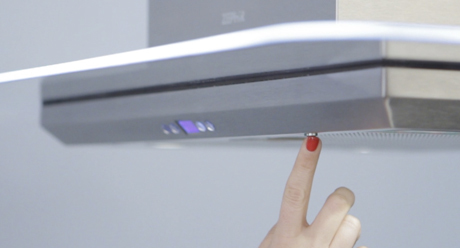 “Today’s top products bring together the best in tech and style.” Zephyr’s award-winning hoods are a sleek alternative to stainless and are manufactured with a military-grade, built-in layer of protection with an anti-smudge coating for easy cleaning. The entire list of winners can be found at ApplianceDesign.com and TraditionalHome.com/30Most. 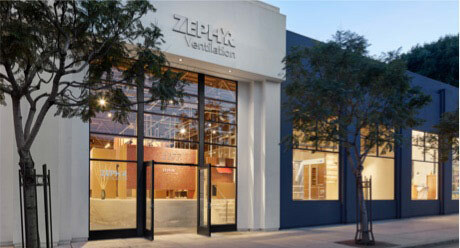 Founded by a family in 1997, San Francisco-based Zephyr continues to pioneer design and innovation to create unexpected experiences in the ventilation category and beyond. The company has challenged the perception of what ventilation means in kitchen design and created a new awareness of the importance of a high performing ventilation system. As a direct result of its commitment to elevating range hood design and technology, Zephyr is the recipient of several prestigious awards including Consumer Digest Best Buy Rating, Chicago Athenaeum Good Design, ADEX (Awards for Design Excellence), Appliance Design ‘Excellence In Design’ and the Architectural Products ‘Product Innovation Award.’ For more information, visit zephyronline.com.